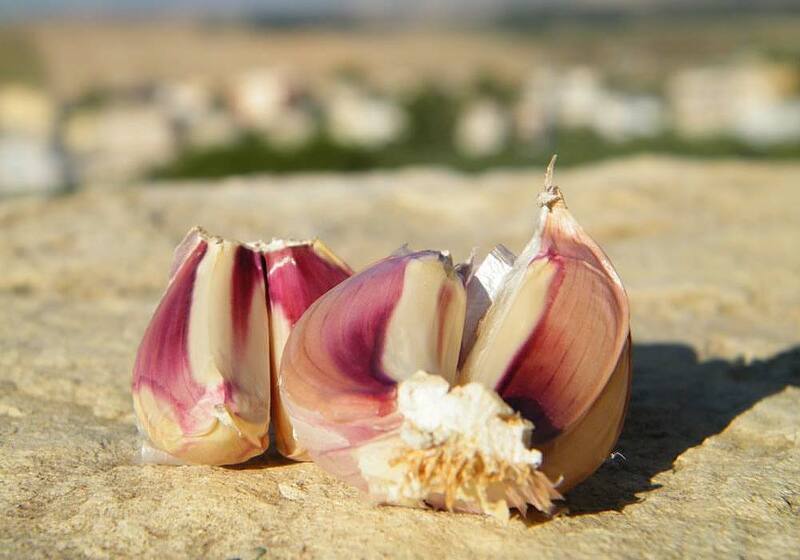 The aglio rosso di Nubia (red garlic from Nubia) is characterized by a sharp taste and penetrating aroma and is used in many typical local dishes like pasta al pesto Trapanese. Red garlic is grown in the province of Trapani, and especially in the towns of Erice, Paceco, Trapani, Buseto Palizzolo and of course in Nubia. In the Sicilian dialect Nubia is known as “u paisi di l’agghi”, which means “garlic town”. To promote the red garlic, every year in July the sagra “Rosso aglio, bianco sale” is organized in Nubia (see festivities in Sicily). The Fagiolo di Polizzi Badda is a two-colored bean, which is grown since the 19th century in the town of Polizzi Generosa, in The Madonie National Park. 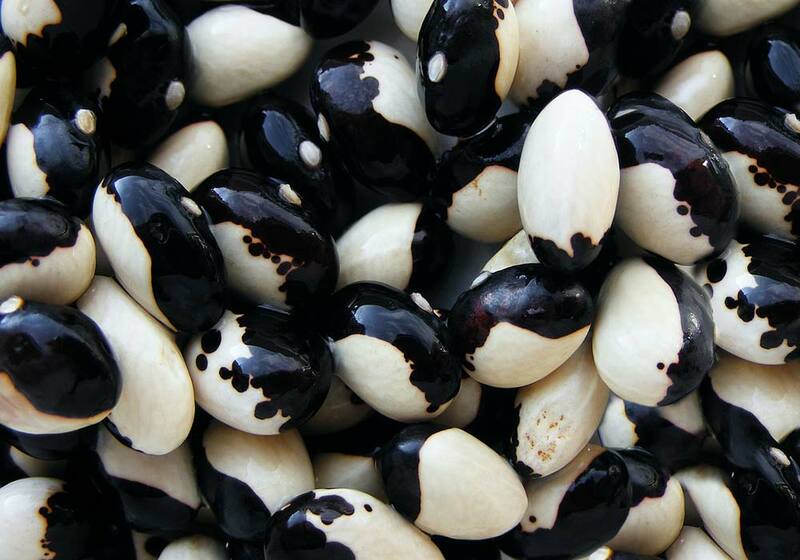 “Badda” is Sicilian for “palla” (ball) and thus refers to the round shape of the bean. The bean is ivory with pink, orange or dark purple markings and is used, either cooked or dried, in local dishes such as tagliatelle di casa con i fagioli verdi e picchi pacchio (tagliatelle with beans and fresh tomatoes), fasoli chi finucchieddi (a kind of bean soup, with wild fennel and rind), but especially in the dish “u cunigghiu”, which literally means “the rabbit”, but that strangely enough contains no rabbit. This simple dish is made with tuna, codfish and vegetables and is best accompanied with a fairly young Nero D’Avola. Long ago the Conca d’Oro, the plains surrounding Palermo from Villabate to Sferracavallo, was covered with orchards. This mythical place and a paradise for travelers has been hailed by many writers and poets. in the last 50 years it has lost 80% of its cultivated area as the city has spread. 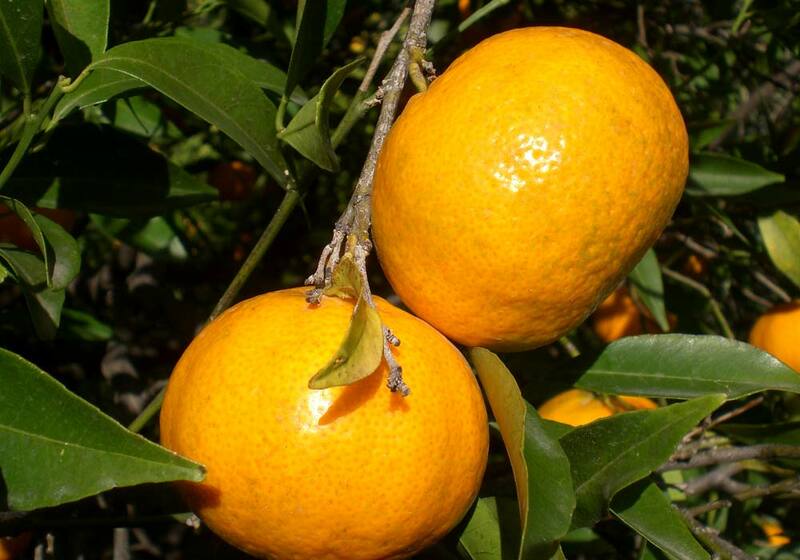 One small area of green has remained around the villages of Ciaculli and Croceverde Giardina, where in the 1940s a natural variation of the Avana mandarin led to a new, late-ripening (from January to March) variety. This “mandarino tardivo” (literally “late mandarin”) is very sweet and juicy, has few seeds and a thin skin. Manna is a natural sweetener, extracted from the tree sap of the Sicilian ash tree. These trees grow almost exclusively in the area around the villages Castelbuono and Pollina. Once the tree juices come into contact with sunlight, they harden and the result is called manna. The quality of the manna depends on how it was harvested. The best and most expensive version is the manna cannolo which has not been in contact with the bark of the tree and looks like a stalactite. The first 24 to 36 hours the manna is dried in the shadow and then for one week dried in the sun. The result can be eaten pure or used in dolci (sweet treats). Fiasconaro, located in the town of Castelbuono, is the most famous pasticceria (cake shop) of Sicily, and makes the most delicious dolci with manna, like Torroncini alla manna. Manna is low in glucose and fructose and is therefore suitable for diabetics. The melone purceddu of Alcamo is an oval melon with wrinkled, green skin and white, succulent flesh, which is grown particularly in the towns of Alcamo, Castellammare del Golfo, Calatafimi, Camporeale, Mena Rocca and San Giuseppe Jato. The melons are harvested in August and then hung to mature in a dry and ventilated room. 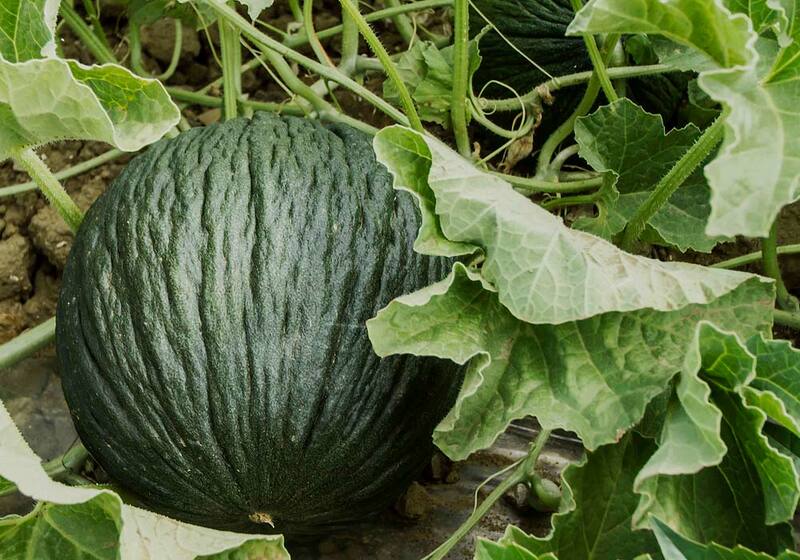 During the maturation period the melons become sweeter and they can even be eaten until late December (sometimes even until the end of January). They are therefore also called winter melons. The melone purceddu is delicious as table fruit, but is also used in ice-cream and in the Sicilian granita (see Sicilian cuisine). Pane nero is a round, dark, coffee-colored bread which is baked in wood burning ovens in the town of Castelvetrano. The dough is made with water, salt, yeast and two cereals (the Russulidda and the Tumminia corn flour). The wood burning oven is heated to 300° Celsius. Once the flames are extinguished, the oven is swept clean with a broom made from the leaves of the palma nana (Sicilian dwarf fan palm). Then the dough balls are placed into the oven. The bread is ready, once the oven has cooled down. Pane nero exists in several versions, including those with dried tomatoes or olives. Lunch tip: Pane nero with extra virgin olive oil, salt, oregano, tomato, local cheese, like primo sale or vastedda, anchovies and basil! 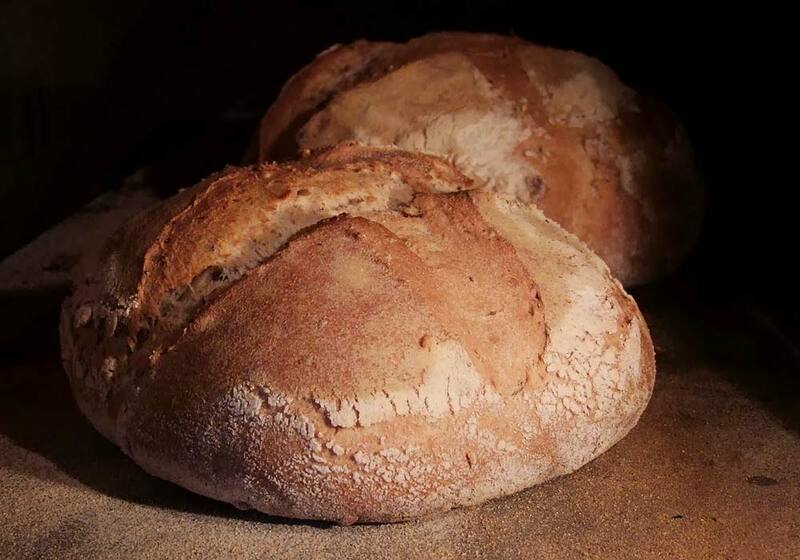 You can also buy pane nero at the Bakery Cottone, in the coastal town of Balestrate. 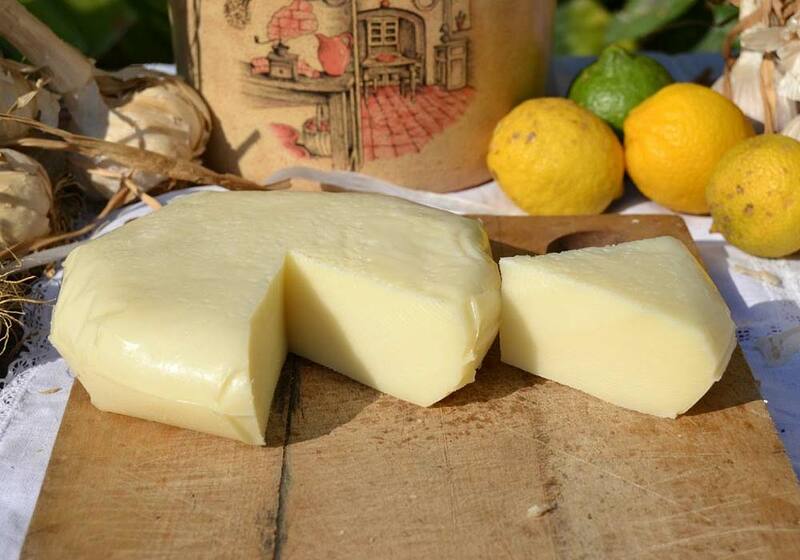 The provola delle Madonie is a typical cheese, made from cow’s milk, with a smooth and pale yellow crust. 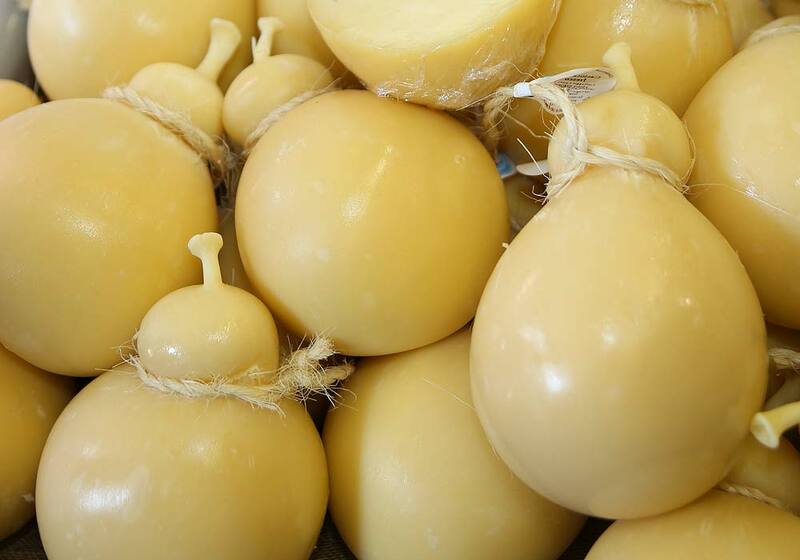 The provola is recognizable by its particular shape, more or less pear-shaped with a ball on top, caused by the way the cheese is ripened: The provola is hung by a string and kept in a cool, ventilated area for 10 to 15 days, after which it’s ready for consumption. The provola delle Madonie is a compact, soft and elastic cheese with a slightly sweet and delicate flavor. Wine tip: an Inzolia goes well with fresh provola, while a Nero D’Avola is a better choice if you have chosen a lightly smoked provola. 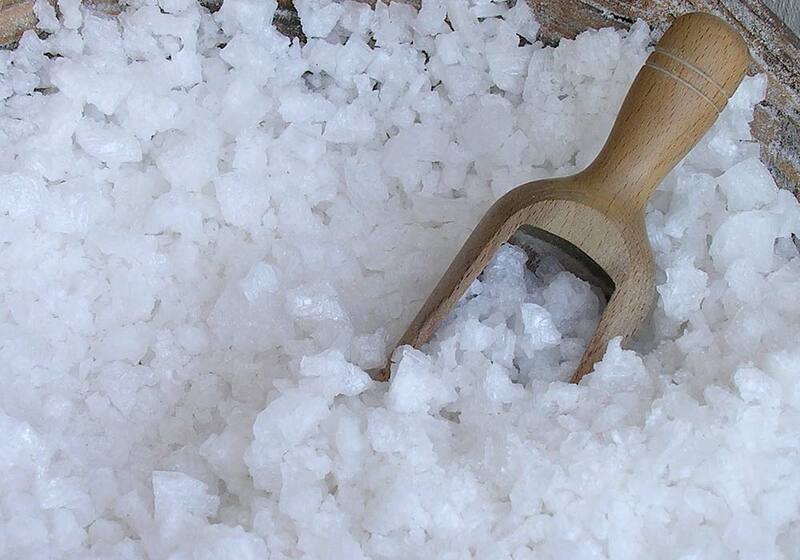 Sale Marino artigianale di Trapani is a sea salt produced in the salt pans (called saline) between Trapani and Marsala. The sun evaporates the water, which is led trough several salt pans, until almost only salt remains. The remaining salt is then scooped out of the last salt pan on huge pyramid shaped salt heaps, to dry for one year in the open air. The sea salt from Trapani contains more potassium and magnesium and less sodium chloride than regular table salt and can be found in every local supermarket and specialty store in Sicily. A long time ago, in the gardens of the Conca d’Oro that surrounded Palermo, more than 10 different kinds of susine bianche (yellow plums) were grown. Mostly due to the expansion of the city, many orchards and various types of plums disappeared. 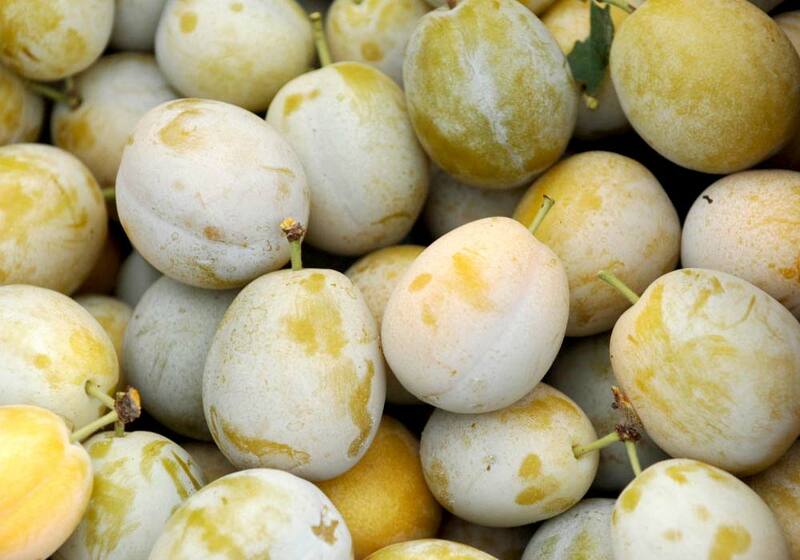 In and around Monreale, two types of yellow plums are still grown: the Sanacore and the Ariddu ‘i core. Both types of plums are small and very sweet and are harvested in July and August. Once, the Ariddu ‘i core plums were individually wrapped in white paper and hung in strands of 10 pieces in a cool place. Even though the plums dried, their taste and smell was still well preserved and could even be eaten during the holiday (Christmas) season. 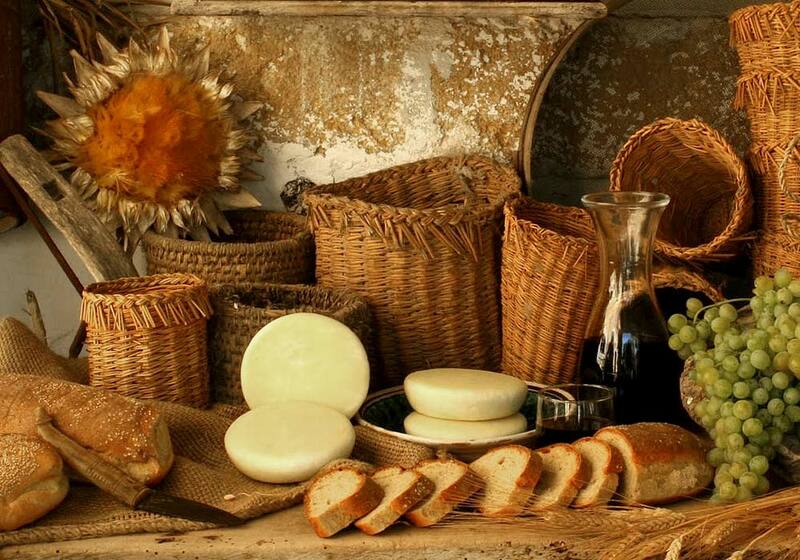 The vastedda del Belice is the only pasta filata, or kneaded curd, sheep’s milk cheese in Italy. In the past, dairymen produced it in the Belice valley during the summer, recycling damaged sheep cheeses by recooking and reworking the curd. The name vastedda therefore presumably derives from the Sicilian “vasta” (in Italian: guasta), which means “broken / corrupted”. These days however, the cheese is made exclusively from fresh sheep’s milk. The vastedda is compact and slightly sour and can be eaten with some olive oil, tomato and basil, or used in a variety of typical Sicilian dishes, like the pani cunzatu (local bread, with tomato, onion, anchovies, herbs and cheese).